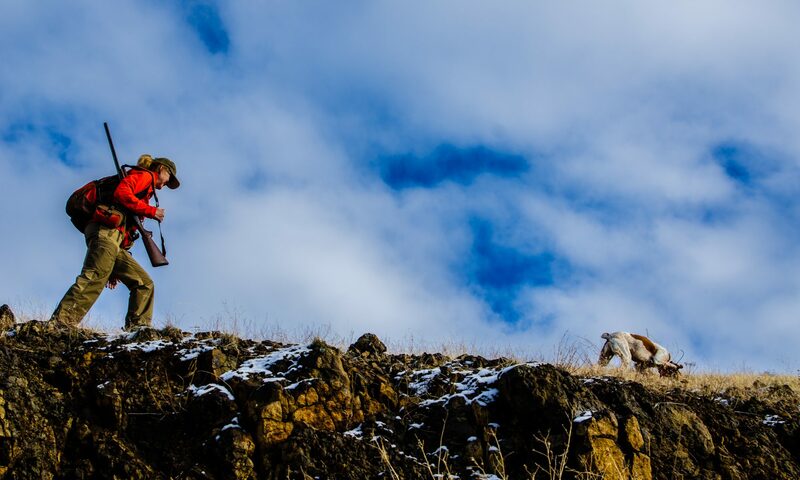 After yesterday’s post, I decided to take a spin down to Hells Canyon to see what it looked like, and see if there was any hope for the chukar. Expecting to see pure white, I was pleased to find a sort of belt of burned-off terrain, which had plenty of open ground. Above it and below it was pure white, and this open ground was occupied by a huge herd of elk, but at least there’s some safe haven for some birds. Down lower, we watched four chukar hiking around in the snow near the road (see the video below). It was interesting watching them – they’re clearly trying to find stuff to eat, and it’s slim pickins for sure. They weren’t too concerned about us, and we didn’t linger. Nature is red in beak and talon. For a half second, I thought I could maybe get out hunting again, but even if the weather warmed, it wouldn’t make sense. For anyone. And then I checked NOAA: another foot of snow predicted for this area, with temperatures going back down from the 36 degrees we saw today. Very nice! Great pic ofthe red-tail hawk. Great pics Bob. That hawk is amazing. Outstanding photos and video. Kudos to you for self policing your hunting opportunities. I’m with you in that simply killing isn’t necessarily hunting. Keep up the good work. Hope to cross paths with you in some secret canyon someday and chat in person. Best wishes to you all (pups too) for a great 2017. Take care. Thanks for your kind words. Same to you. Let me know if you see us out there next year! BOB WHERE IN iDAHO DO YOU LIVE,AND WHERE ARE THOSE DEEP SNOW PICS FROM?